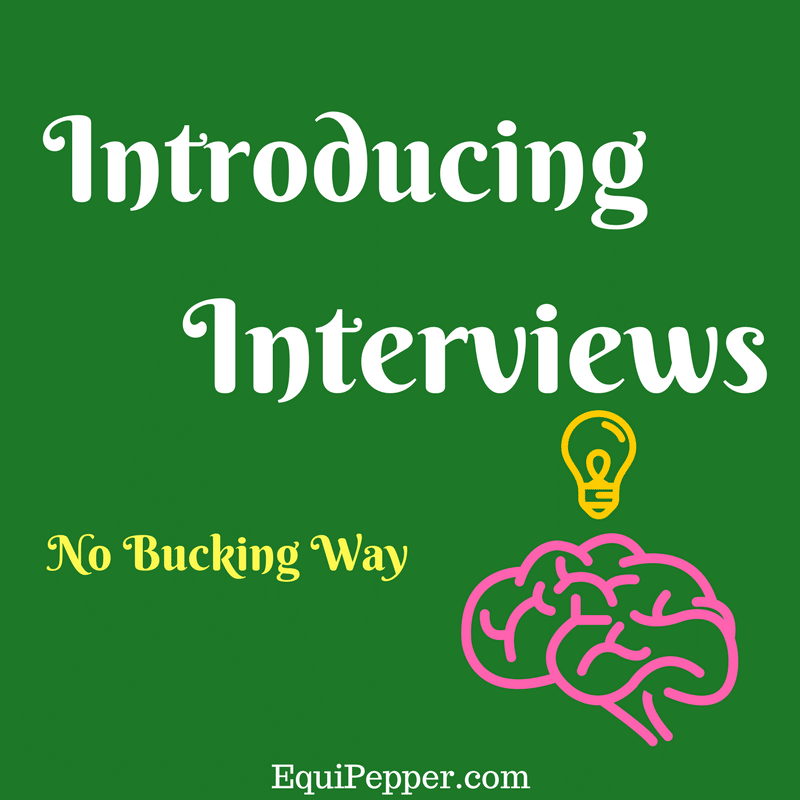 Today I am pleased to introduce you to Orla & Darielle, co-writers of the blog No Bucking Way. 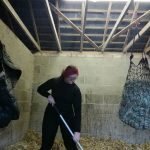 Their blog tracks their progress training both of their young horses which they hope might help others in the same situation. Funnily enough, we originally met through work about 6 years ago! We were both waitresses in a hotel but it wasn’t until another 3 years later that we actually became friends. We had both moved to different positions in the hotel and there was one day that Darielle started telling me about a new yard she started going to for lessons. Having not ridden for a few months I decided to give it a go and ended up loving it so we started riding in the same lessons and the rest, as they say, is history! 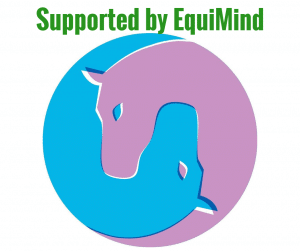 Introduce us to your horses? Darielle: Meet Dante, a 5 year old Sport Horse Gelding. He has been quite the challenge from Day 1! He is one of the most sensitive horses I have ever come across, but I will give him the benefit of the doubt, he is a saint on the ground, between me dancing around like a lunatic to him being around kids you would swear he was a mature older horse, his ground manners are impeccable! He has quite the background when it comes to his breeding, his full sire is Lux Z, hence where some of his very challenging temperament issues come from when it comes to riding! He has scope for days & well I think we are both very well matched as we are both as dramatic as each other!! Orla: Coco is a 5 year old Appaloosa Mare. She is the most curious horses I’ve ever met. She absolutely loves any and all attention which makes her such a sweetheart to deal with on the ground. Once you’re in the saddle though she completely transforms, she goes from being a quiet calm horse to an energetic and flighty mare that wants to be kept busy and moving. She loves jumping but has some great flatwork too. She’s definitely my kind of horse! 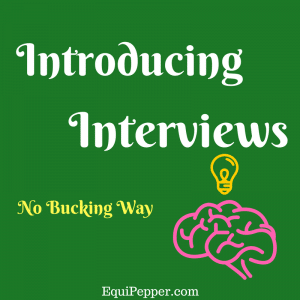 No Bucking Way focuses on your progress working with your young horses and helping others in the same situation as you, how much experience did you both have working with young horses before you purchased your two young horses? Darielle: To be brutally honest, not an awful lot! Since I was 5/6 I practically lived up at the stables on weekends, but as I came into my teenage years, boys took over! When I started back riding I was lucky enough to land myself a lease with an unbelievable school master, I learned so much from him. Before I bought Dante I had a 4 year on trial for 6 weeks, unfortunately the sale fell through but those 6 weeks were a huge eye opener as to the various situations owning and bringing on a young horse can put you through. Seeing the progress and seeing your hard work being translated into the young horse is so rewarding. But I wont lie, it can be very very difficult & frustrating, for the first few months you really have to stick with the basics of riding so patience is key. The biggest downfall is comparing yourself to others, every horse learns at their own pace so you really just cannot compare! 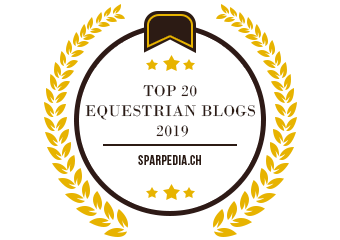 Orla: I’ve been riding for the guts of 17 years (OMG), give or take a few breaks during college, and while I’ve never actually owned my own horse during that time before Coco, I got a lot of experience riding young, green and difficult horses in the various riding schools I rode in. From riding these kind of horses I got so much experience in how to deal with the different behaviour issues and problems that are so common in young horses. And while it had been some time since I had ridden these kind of horses before I got Coco, I knew it would all come back to me and thankfully it seems like it has! Did you both purchase your horses around a similar time? 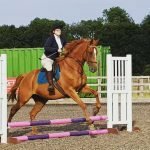 Did one of you inspire the other to take on the project of a young horse? Darielle: I think it was just the timing of things that we ended up buying horses at the same time! As i mentioned above, I had a horse on a 6 week trial and when that fell through I was quite devastated all my work & progress with that horse was literally poured down the drain. Within 2 weeks, I had Dante. I took a HUGE risk with him. 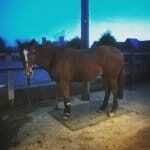 He was the first & only horse I looked at and within two weeks I had bought him. We both had the same reasons for buying young horses. We both wanted our moneys worth & we both wanted to test ourselves, could we actually bring on a decent horse over the years? Its safe to say that I think we are both on a very good track to reaching that goal! Orla: Yeh it was funny how it worked out. We were both in completely different situations before we got Dante and Coco. I had been leasing a lovely older mare for a few months and unfortunately the owner decided to move yards and I couldn’t travel to where she was moving to. So I was on the hunt for a new lease while Dars was trialing the horse she had before Dante. 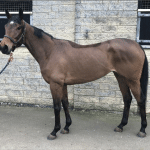 During the search I realised it made more sense to put my time, money and energy into my own horse as a type of investment, rather than a horse that could potentially be taken away at any moment. Throughout that whole time myself and Darielle were constantly in touch, giving each other advice and I think from those chats we eventually both decided to take the leap and go for it. So it was just great timing. And I don’t think either of us has ever looked back! How did you decide to start blogging together? Orla: Yeh right! She can be so dramatic! It’s actually ridiculously simple how we decided to blog together. Darielle had mentioned the idea of starting a blog once or twice and I knew she had put a lot of thought into it until one day she announced “Guys, I’m going to start this blog”. I thought about it and said, “You know, that’s actually a great idea. I’d love to do it with you if you’d have me?” And that was that! Darielle: And with Orla on board, we became No Bucking Way! How do you make it keep working? I think I would really struggle sharing EquiPepper! Do you ever disagree on what direction to take? To be brutally honest, god knows! We are very honest and open with each other and that seems to work well. 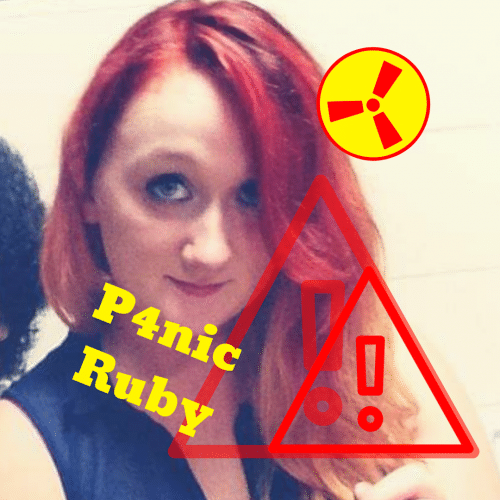 We both use the blog to share our experiences, we collaborate on a good few things together also. We look to each other for advice all the time, so its very helpful having someone in the same position blogging along side you! 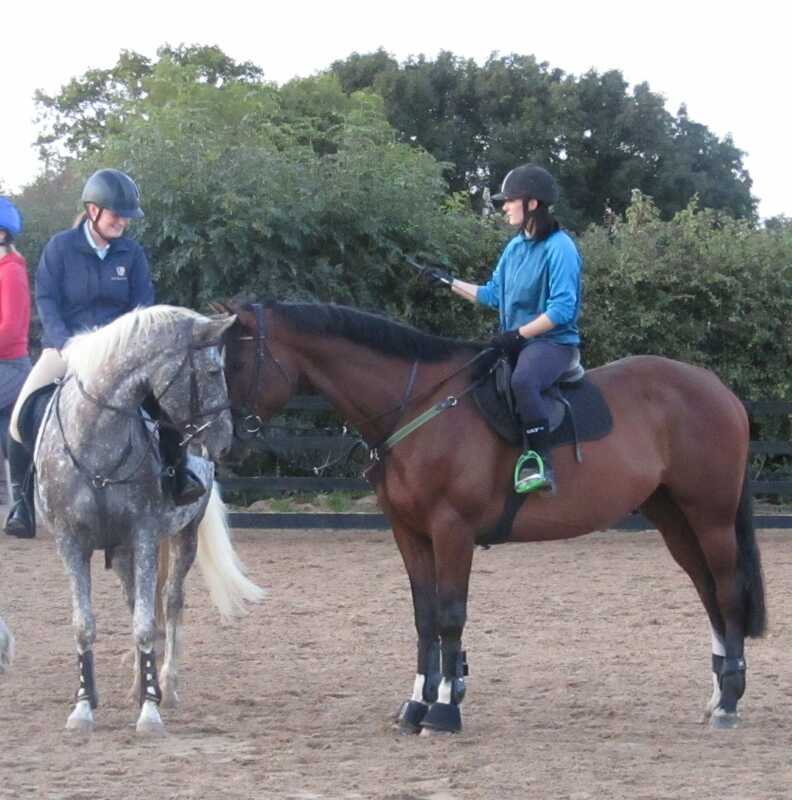 I think with our horses being quite opposite, we both learn an awful lot from each other & from our posts! log to be so there’s no worry that one of us is going to post something the other doesn’t agree with. There’s also the understanding that we both want the blog to be successful so anything that helps do that we’re on board with. You never know what the future may hold for No Bucking Way, or what might be waiting around the corner, so keep your eyes peeled! Thank you both for taking part in this months Introducing Interview! It was great to find out a bit more about you both! Make sure you visit their blog for even more from these two.